Made by Sarah Louise. This beautiful veil has two layers of frilly edge tulle. The top is decorated by a bow with a flower at the centre. 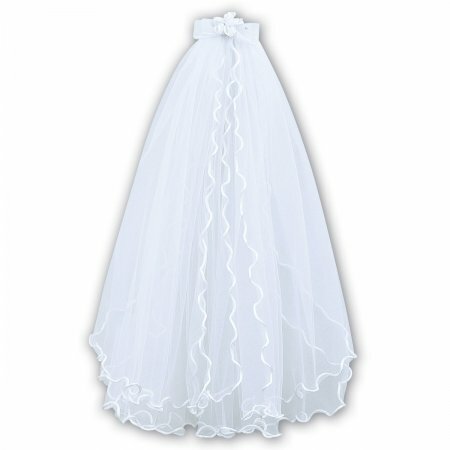 Lovely veil that goes well with a frilly First Holy Communion Dress.